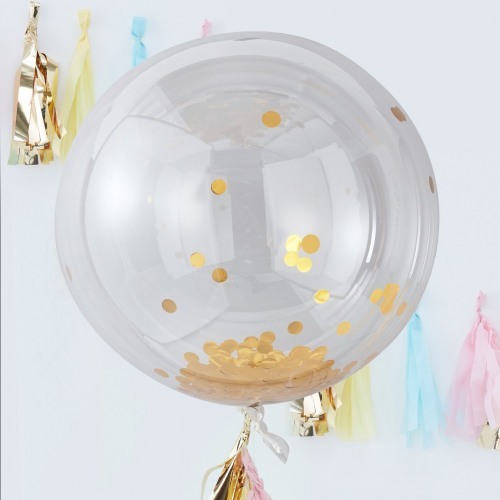 These Giant Confetti Orb Balloons will be the highlight of the party. Blow the balloon up and shake to watch the gold, blue or pink confetti of your choice shine away as you celebrate! A stunning decoration that is the perfect finishing touch to any event!